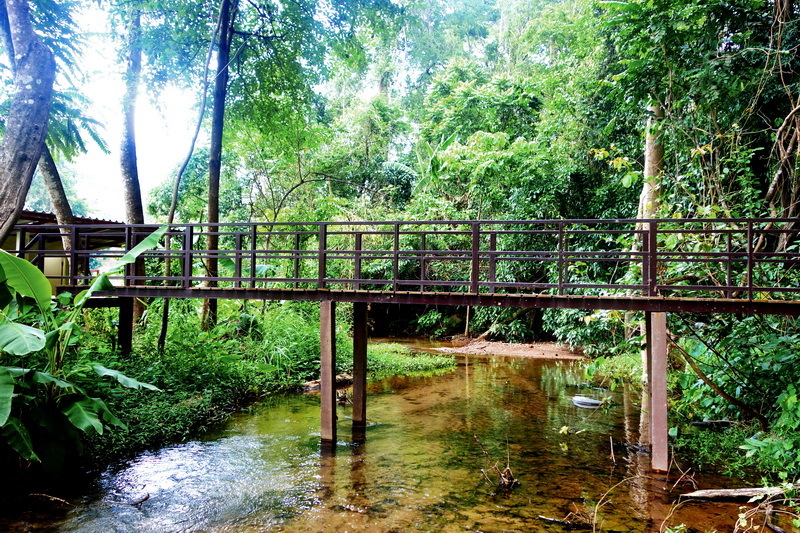 Sai Ngam Hot Springs is completely natural hot springs in the middle of lush jungle vegetation. The water is so clear and warm like a nice bath. 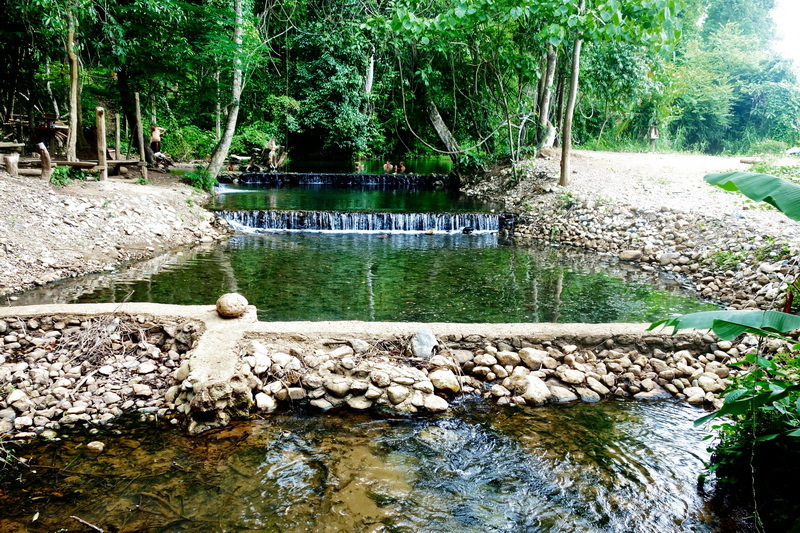 There are two main hot springs near Pai. 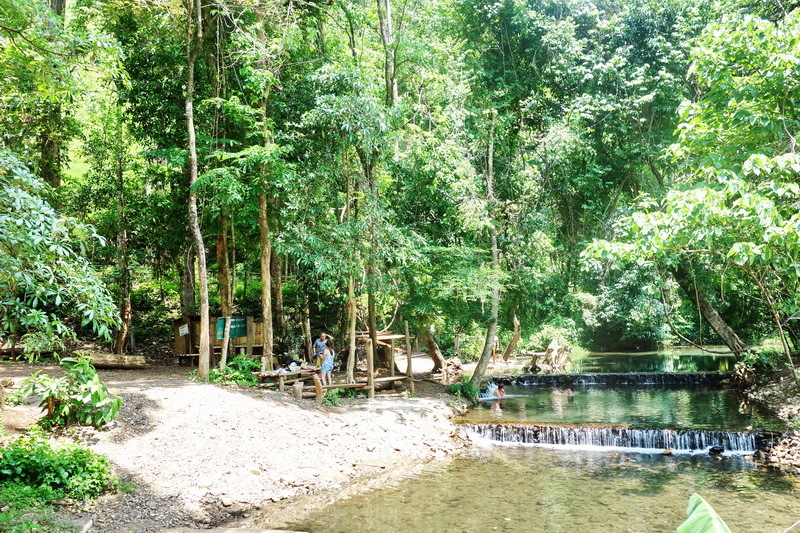 The Tha Pai Hotspring is a popular hotspring that many tourists choose to visit mainly because it can be easily found unlike the Sai Ngam Hot springs which is located on the unbeaten trail. These are the secret hot springs where entry is only 20 baht.. Much cheaper than the more touristy Tha Pai hot spring where you have to pay 300 baht. 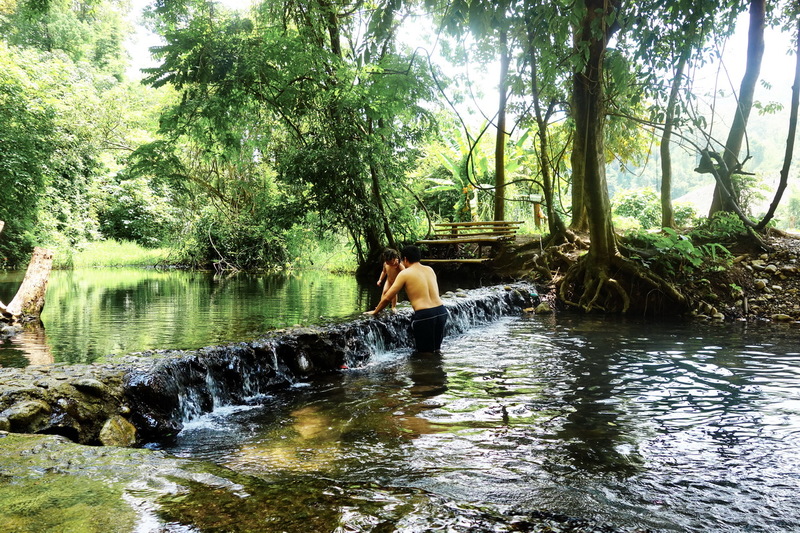 The Sai Ngam Hotspring is pretty off the beaten path. It is located 15 km away from the city. Sai Ngam Hot springs is also known as the ‘secret’ hot springs, but they have become less secret since they were placed on a local tourist map. 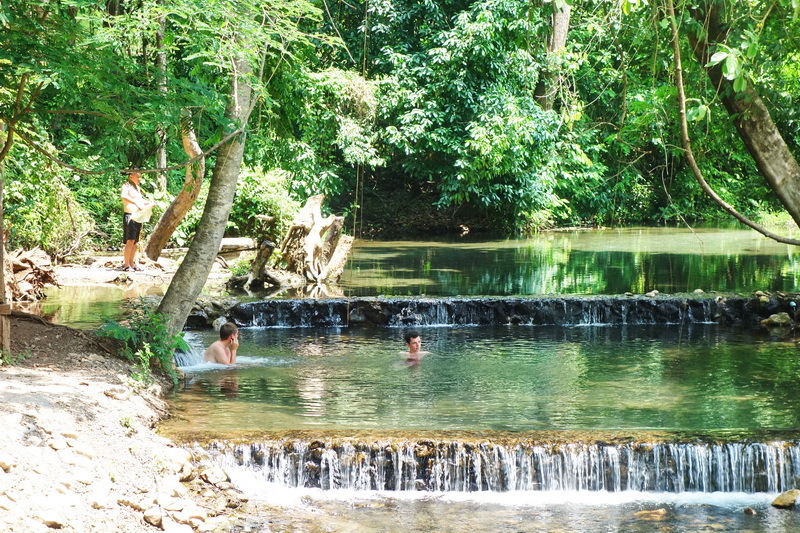 However if you would like an adventure and to visit an idyllic spot to bathe the springs are in the middle of the jungle. Once you actually arrive at the hot springs. To enter the pools you will have to pay 20 THB at the checkpoint to the Sai Ngam hot spring. There are changing facilities as well as toilets at the springs so bring some spare clothes as there is not much chance to sit in the sun and dry yourself before going back. Sai Ngam Hot springs is a small hot spring. The water is in perfect temp. Water is warm and very clean. Crystal clear water! People are generally respectful and quiet, but friendly. 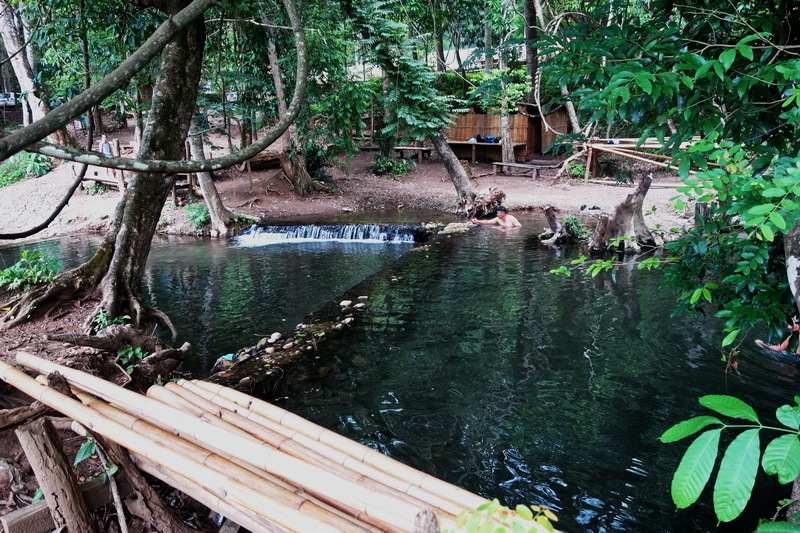 Sai Ngam Hot Springs is a lovely place to take toddlers for a few hours, or relax by yourself. It’s good to relaxing after tough day in Pai. These are located 15 km north of Pai (about a 30 minute drive). There are two meager fees to pay. The first is just off the main highway. 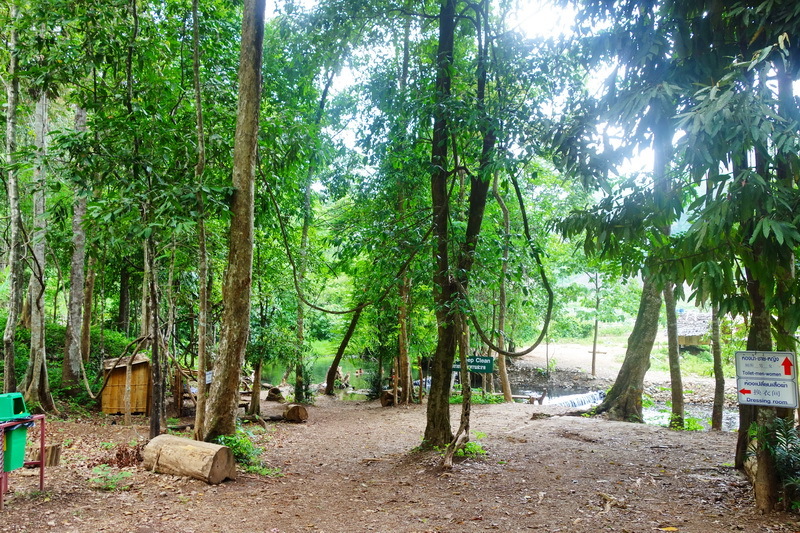 The Lom Nam Pai Wildlife Sanctuary (in which the hot springs are located) has an entrance fee of 20 baht for the scooter and 20 baht per person. Then there is an additional 20 baht fee for the hot springs themselves when you arrive. The road leading to the hot springs is much like a roller coaster. It winds back and forth, and when you reach many of the hilltops, you won’t be able to see the bottom. If you’re a beginner on the motorbike, it can certainly be done, but exercise caution. We did see a few injuries on this road.